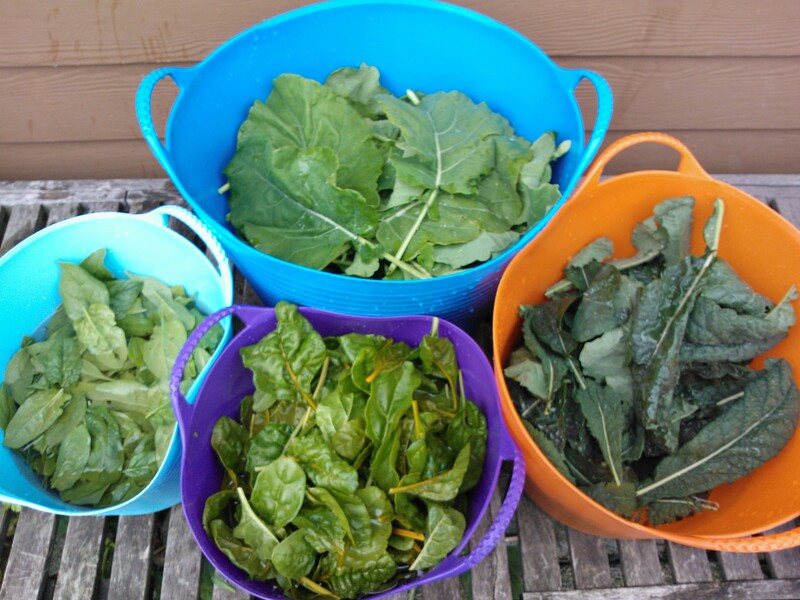 I have a small market garden where I grow some tasty varieties of vegetables you cannot find in the stores. 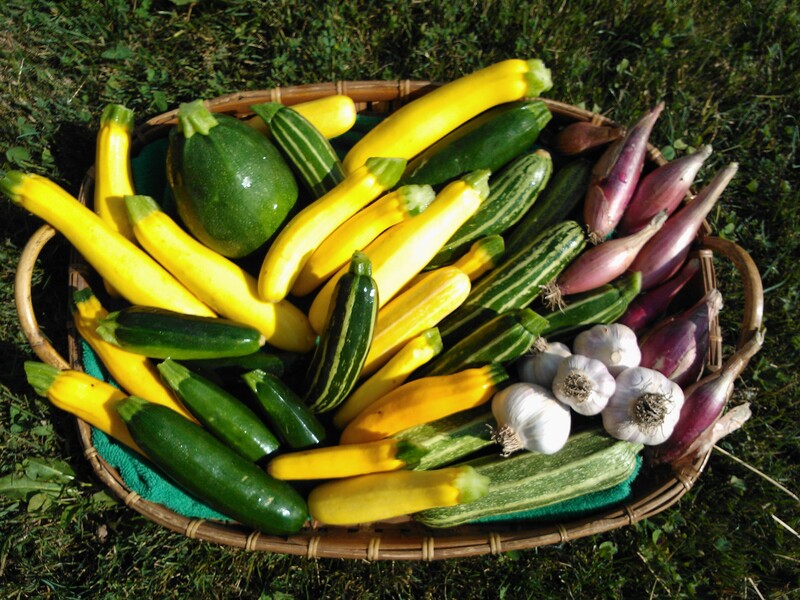 Many of the vegetables are heirloom varieties. 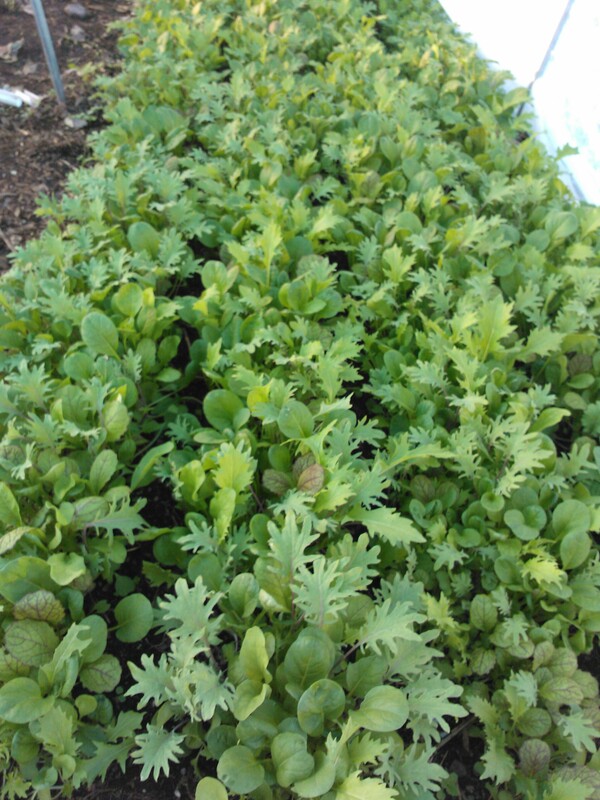 This Asian greens mix has Mizuna, Arugula, Red Russian Kale, Tatsoi and Mustard. They are harvested young so they have lots of flavor, but are still tender and sweet with just a little zip. 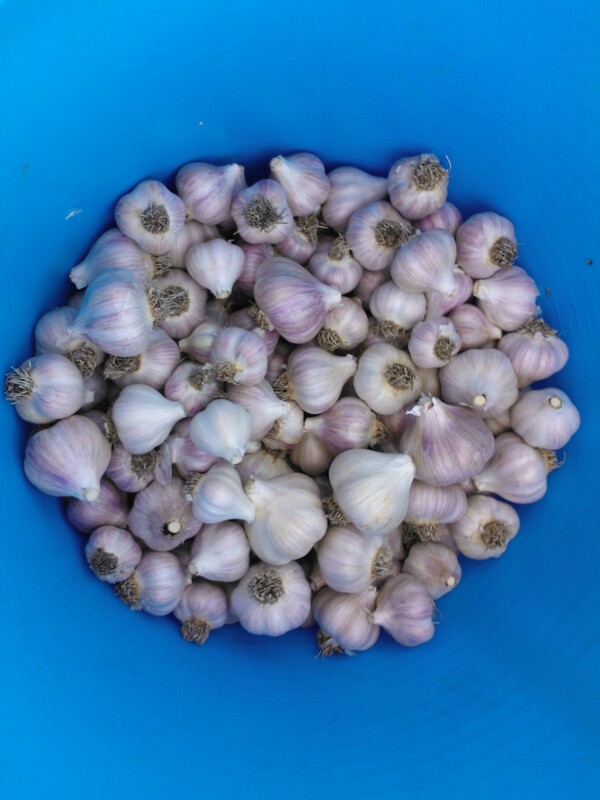 Music is a hardneck garlic variety with 4-5 juicy cloves with wonderful flavor but is not too hot. It will keep for about nine months after being harvested in July. These squashes are small and delicate. The Red Torpedo onions have a wonderful flavor and are not too hot. Greens grow especially well here in the Pacific Northwest. Our cool weather gives them a sweet taste. I harvest them as baby size and also about palm size so the stems are tender. 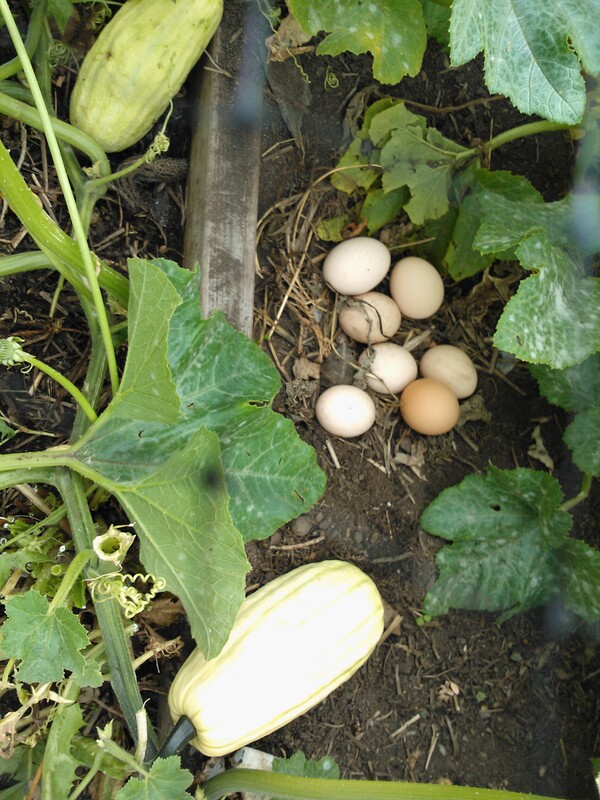 Delicata squash and some hen fruit!